In motoring news, which may be of concern to many drivers, TyreSafe has warned road users are putting their lives at risk by failing to ensure their tyres are properly inflated. The group has highlighted statistics from the Department for Transport which show poorly maintained tyres contributed to the deaths of 43 motorists last year and were a contributory factor in about another 1,000 accidents. Meanwhile, new research from TyreSafe has revealed more than half of all motorists do not check their tyres as regularly as they recommend. According to the organisation, motorists should check their tyre pressure at least once a month. Commenting on the findings of TyreSafe's survey, chairman Rob Beddis said: "Under-inflated tyres can cause dramatic changes in the way a vehicle handles and corners, resulting in surprise and confusion for drivers which often results in accidents." 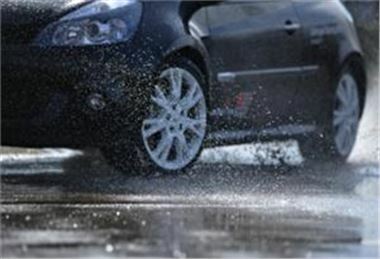 In August, the group produced a series of tyre safety lessons which it posted on its website.